Hooray for Hollywood! And, hooray for Regal Old Mill Stadium 16 & IMAX for showing first-run movies that make us laugh, cry, jump in our seats, and transport us to another place for a couple of hours. Regal in the Old Mill District delivers a lot of exactly what you would expect from a movie theatre; the latest blockbusters, kids’ movies, and live simulcast performance, all to be enjoyed with a giant bucket of “buttered” popcorn, a keg-sized cup of soda, big boxes of movie candy, and a group of friends or your favorite date. But Regal Old Mill Stadium 16 & IMAX is also home to some very civilized productions, including world class opera performances broadcast in HD by the Metropolitan Opera, and a number of indie films during BendFilm each fall. And, because this is Bend, you can head over to the lobby bar and grab a pint of Deschutes Brewery beer, a glass of local wine or cider, or an hand-crafted espresso drink before you settle into your comfy theatre seat. 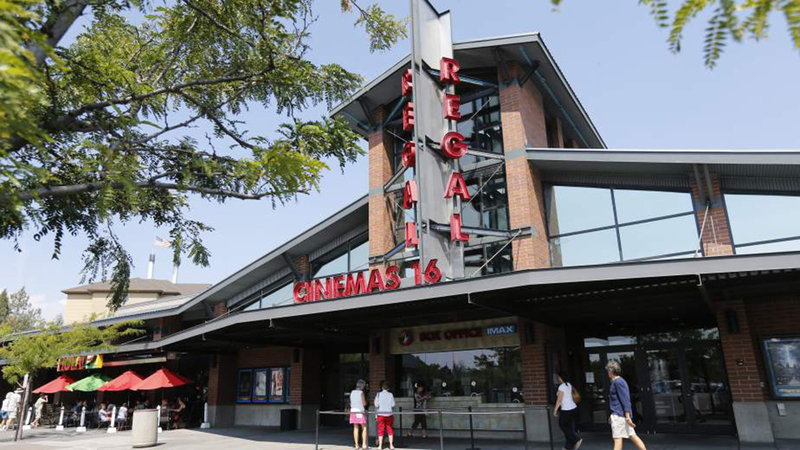 Regal Old Mill Stadium 16 & IMAX is open seven days a week; check website for show times and to purchase tickets online.